It's the holiday season, the time of the year that scammers come out in droves. You may have heard about the man in Dallas arrested for targeting the elderly for repair rip-offs. And another case involving a Missouri man who told a woman that he helped her late husband in the past. He suggested that the lightning rods on the home needed restoration. The woman gave him a check for $1700. He took it and never returned to do the work. These cases are clearly senior scams, and they happen too often. Older adults are lonely and fall victim to thieves. Scamsters lie then enter the victim's home and walk away with cash and other valuables. The home repair scams to look out for are private drive paving (driveways), rooftop repairs, and gutter cleaning. If a homeowner pays for the work directly, the con artist will do a sloppy job, leave it in worse shape or never show up do it. Knocks on your door without an invitation. Makes false claims like, "I've finished work down the block and had material." Pushes you to make an immediate decision. Gives a "special pricing" to encourage an instant purchase. Gives you a great deal and says your home will be a "model" or encourages you to get additional customers. Offers financial assistance to pay for the work needed. Invites you to come outside and see the damage, while the associate enters the home to steal. Never sign anything without reading first and understanding the contract. Never agree to any repairs without getting a second opinion or fully understanding the damage. Never do business with a person who solicits work at your front door--reliable and trustworthy roofers and home repair contractors don't need to solicit business door-to-door. If a rainstorm damages the roof, call the insurance adjuster. Call the Better Business Bureau for grievances. Document all the work, including supplies and time. Keep a copy of the report and include all costs, how to pay, and get both signatures (the contractor's and yours) on both copies. 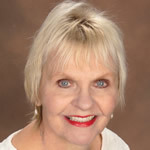 Carol Marak, Aging Advocate, and Editor of SeniorCare.com. She is the creator of the Aging Matters weekly column.